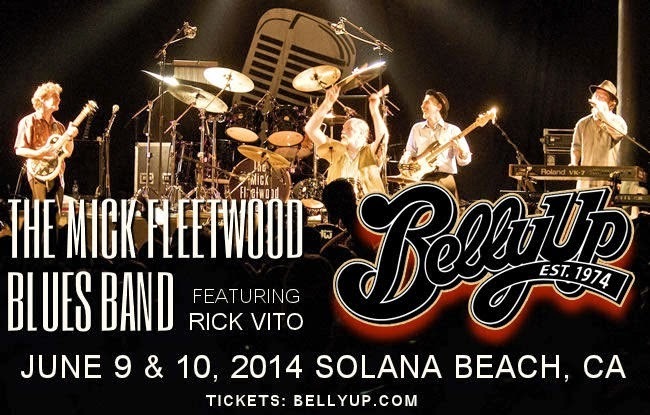 SPECIAL ANNOUNCEMENT: We will be livestreaming the Mick Fleetwood Blues Band (Featuring Rick Vito) concert at the Belly Up this coming Tuesday, June 10th at 8PM Pacific! You will be able to watch FROM the Facebook Page of Mick's restaurant Fleetwood's on Front St.! Also - we will be opening up a very small amount of Mick Fleetwood VIP Packages for the Fleetwood Mac Tour this fall - and this will be the LAST chance to get one! Can't want to share this experience with everyone! More details to come stay tuned!